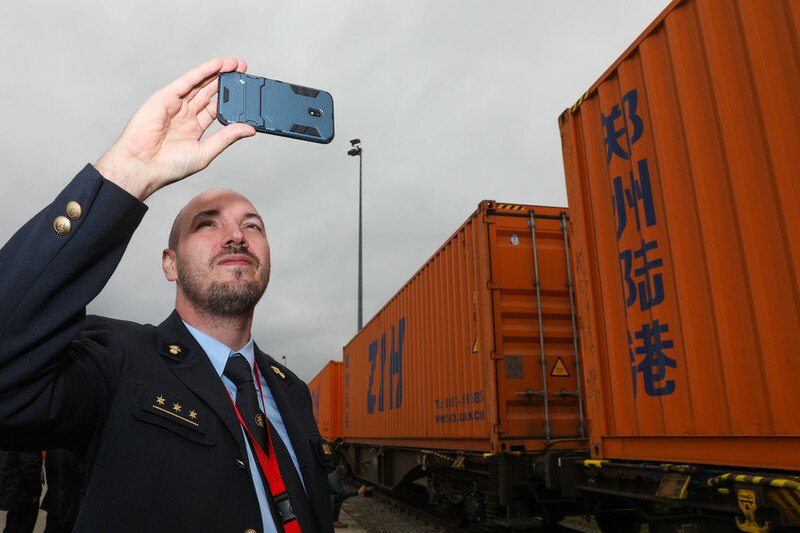 Silk Road on steel wheels: Belgium & China launch new cargo train route Get short URL The first cargo train, loaded with 37 containers, left the Belgian city of Liege this week to travel to the capital city of China’s Henan province. The freight route is part of China’s ambitious One Belt One Road project. The train is loaded with goods including auto parts, baby food, pharmaceuticals and steel products for import stores in central China. It will travel 12 days across the continent via Russia before arriving in Zhengzhou. The trip is to cover more than 11,000km. The train service is scheduled to run once a week initially, with the frequency to rise in the future. 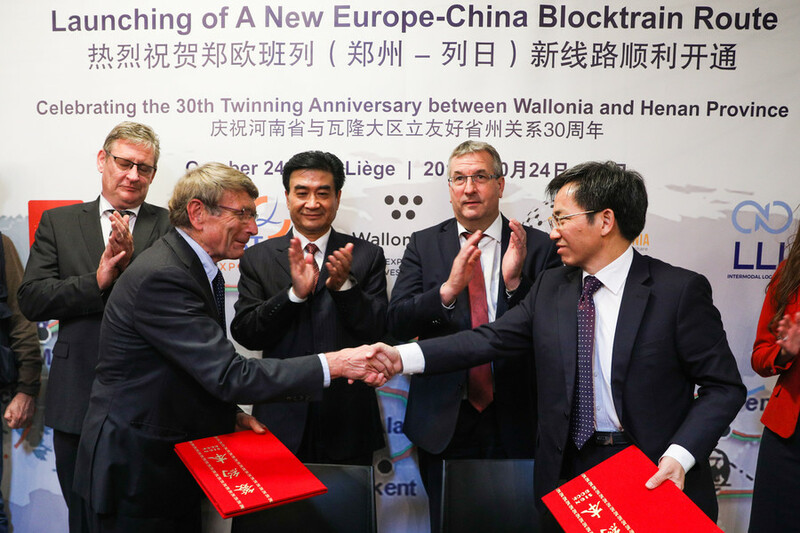 “We have every interest in turning to China and having close, strong relationships, and we must see this as an opportunity and a necessity,” said Pierre-Yves Jeholet, vice president of Wallonia. He explained that Wallonia is encouraging the region’s large exporters and small- and medium-sized enterprises alike to export more products to China. “This railway link is proof that together we are able to make such projects,” he said. The Zhengzhou-Liege cargo train route is the third of its kind connecting the two countries. The first route was launched in June last year, linking China’s Daqing City to Zeebrugge Port. This year, the countries opened the second route, which connects north China’s Tangshan City to Antwerp Port. Focused on trade-boosting infrastructure projects along the path of the ancient Silk Road, the One Belt One Road Initiative aims to connect China to Europe, the Middle East and beyond. Experts predict that China’s ambitious multi-trillion-dollar project will significantly increase global trade, cutting costs by half for the countries involved. Since the launch of freight trains between China and Europe in 2014, nearly 11,000 trains have moved between European and Chinese cities.